A part of Arizona’s history all but disappeared when the United States-Mexico border was created about 160 years ago. Recently, National Parks and museums on both sides of the border have begun working together to revitalize and preserve a living history that gives people a way to connect to their roots. A variety of crops brought over by European missionaries connect Mexican and Native American culture in the Sonoran Desert. 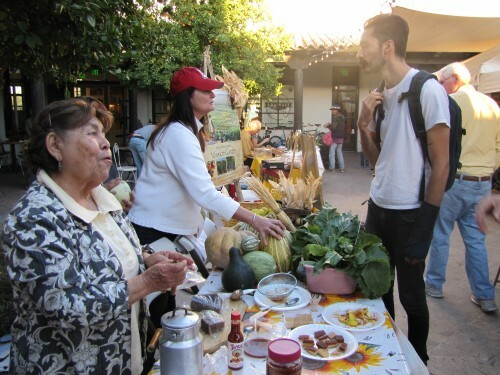 The Thursday Farmer’s Market in downtown Tucson’s Mercado San Agustin is buzzing with a growing crowd of people. 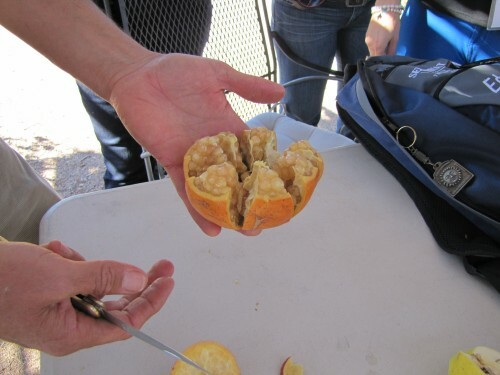 Volunteers from the nearbyMission Garden put out fruits and vegetables for customers to try. Josefina Lizarraga cuts up quince, or membrillo in Spanish. She said it’s a common snack in Northern Sonora, Mexico. “Slices of membrillo with chile and salt, this is the most popular way to eat it,” she said. Lizarrage has also spent hours cooking the fruit down into a soft, sweet candy. It’s unfamiliar to many passersby, but Yvonne Lopez recognized it. “This was my aunt’s favorite candy from Mexico and we always had it around the house. I kind of didn’t like the texture of it, but I was interested today. So this is my first experience with membrillo,” Lopez said. 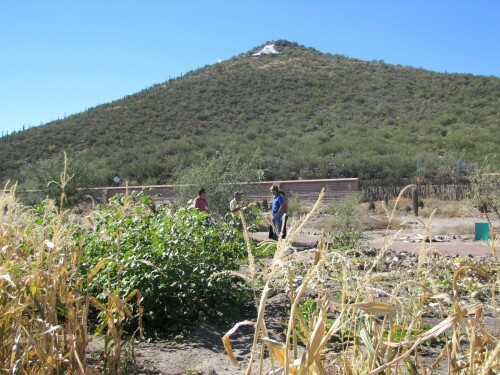 The Mission Garden was started about three years ago by volunteers and members of Friends of Tucson’s Birthplace. “We are connecting a lot of the cultural roots of the region,” Jesus Garcia said. He is with the Arizona Sonora Desert Museum. He helped develop the Mission Garden. Now through a new grant from the National Park Service, the museum has partnered with Organ Pipe Cactus National Monument, El Pinacate Biosphere Reserve in Mexico and members of the Tohono O’odam Nation. The goal is to teach people about their heritage through agriculture along the border. Kino fruit trees — quince, fig and pomegranate among them — are named after Father Eusebio Francisco Kino. He was the first Jesuit missionary to explore the Sonoran Desert starting in the late 1600s. 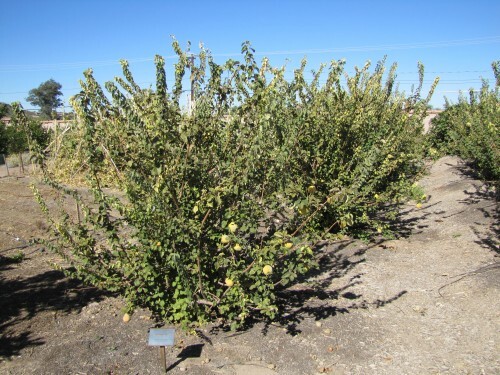 Kino introduced these fruit trees and other crops from Europe to the Tohono O’odam Nation and to Mexicans. “When we look at the Mexico side, just a few miles south of the border, this colonial agriculture style, this way of living, it is still alive,” Garcia said. Garcia said a population explosion on the U.S. side, after the border was created, destroyed much of the colonial agriculture here. He has collected samples, or cuttings, from old trees found in Mexico and Arizona to plant orchards again, like the one at the Mission Garden. Staff from El Pinacate, one of the partners of the grant, came from Mexico recently and spent a few days in Tucson. The National Park is located between the border and Rocky Point. 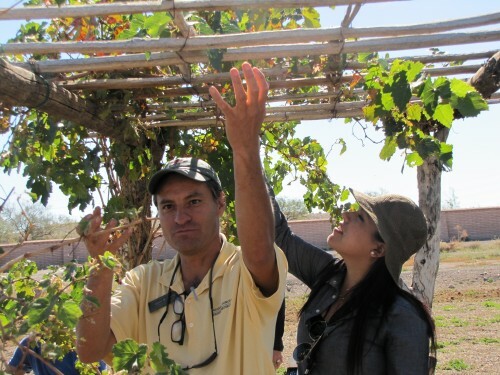 Garcia gave them a tour of the garden, showing them examples of colonial and ancient crops growing here. Cota is the Coordinator of the museum and visitor center at El Pinacate. He said they are learning from Garcia and others how to preserve this agricultural history back home. “These trees, they actually bring together a sense of place and a way of feeling proud about your heritage, simply by growing a tree and eating it,” Garcia said. Through new partnerships like this one, Garcia said more will be revealed about the cultural diversity that defines this region. 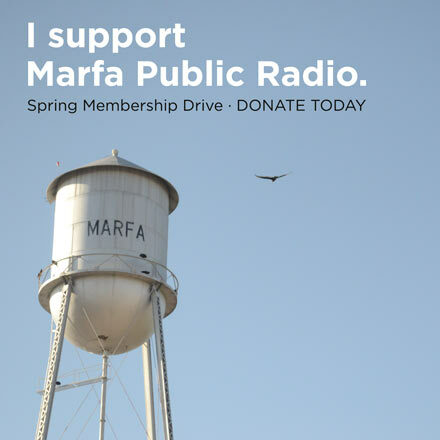 This story was reported by Kate Sheehy, in collaboration with Fronteras, The Changing America Desk, a consortium of NPR member stations in the Southwest. This entry was posted in KRTS News and tagged Agriculture, Arizona, Farming, Fronteras Desk, history, southwest, US-Mexico Border. Bookmark the permalink.